Simple one step method to disable right click on your webpages to prevent users from stealing your text or images easily. You may have seen many websites (e.g. this page) that don't allow its user to right click and copy their content easily, wanna know how to do this on your website? If yes, then this post is for you. tag or you can add this to a HTML gadget. 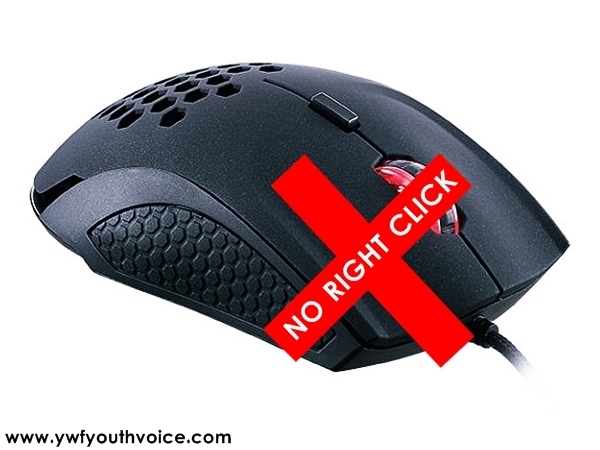 (i) Highlight it by clicking and holding your mouse button down and dragging the cursor from the beginning to the end of the code, then release the mouse button. When you have the code highlighted, press Ctrl + C on your keyboard to copy it. (ii) You can simply copy script from this page. Will this make my content completely copy proof? No, nothing can make your content 100% secure! I'll soon write a post on this topic, stay connected to our social media accounts for update. For any queries you can comment below in the comments section.